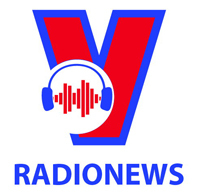 On the occasion of Prime Minister of the Netherlands Mark Rutte's official visit to Vietnam at the invitation of Prime Minister Nguyen Xuan Phuc, Ambassador of the Netherlands to Vietnam Elsbeth Akkerman speaks to the Vietnam News Agency about the visit and the relationship between the countries. 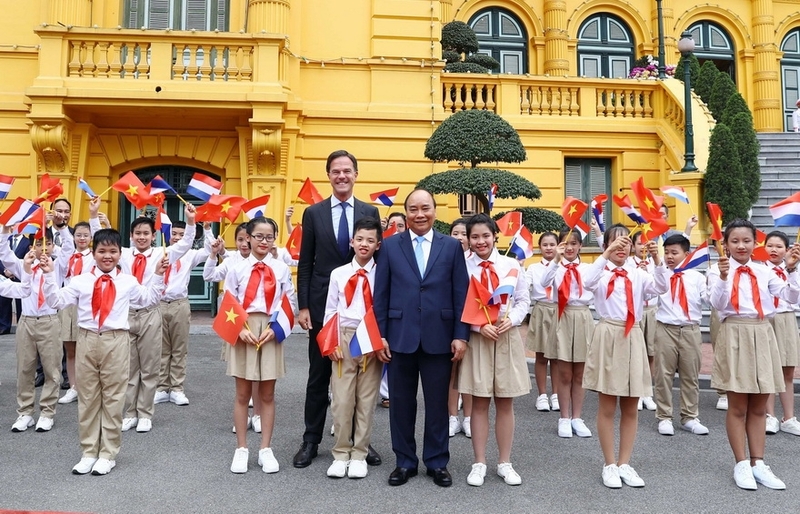 What is the significance of the visit to Vietnam by the Dutch Prime Minister? 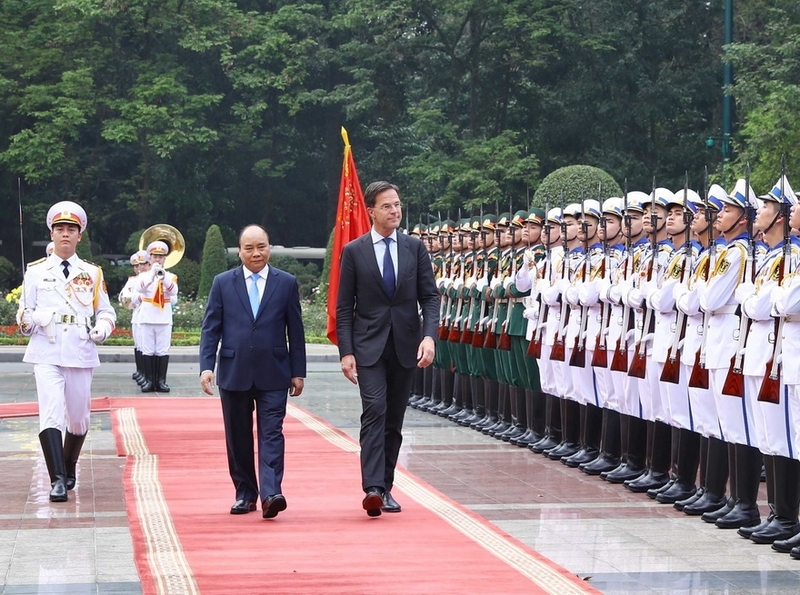 In addition to PM Rutte, his delegation includes the Minister of Infrastructure and Water, Vice Minister of Agriculture, State Secretary of Finance, and more than 100 business representatives representing 70 companies in a number of areas in which the Netherlands and Vietnam have close ties. And the purpose of the PM’s visit is to strengthen and broaden these ties. The purpose of the visit also allows us to underline the economic relationship that goes way beyond 45 years. These economic ties have so far been in the field of agriculture, food security, water and climate change. 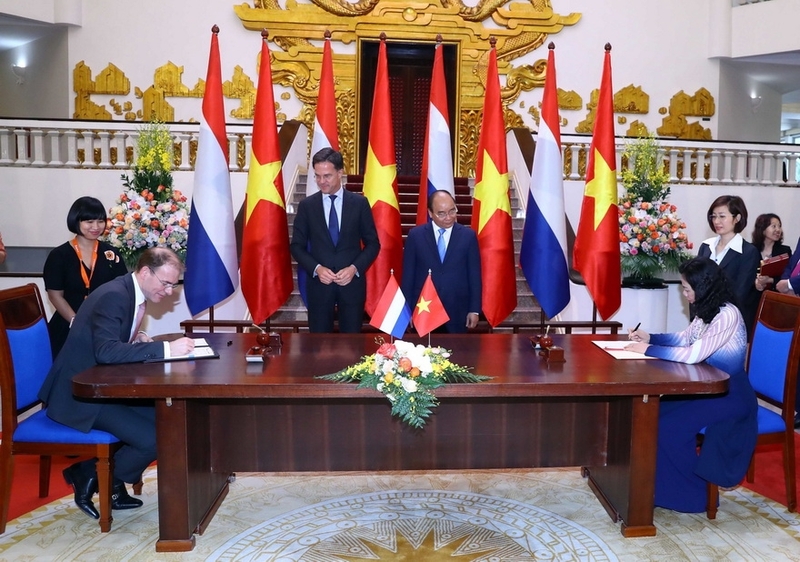 These are topics that are very close to the hearts and minds of both Dutch and Vietnamese people because we are both open economies and delta countries, so for the large part the Netherlands and Vietnam are below sea level and that very much heightens the impacts of climate change. 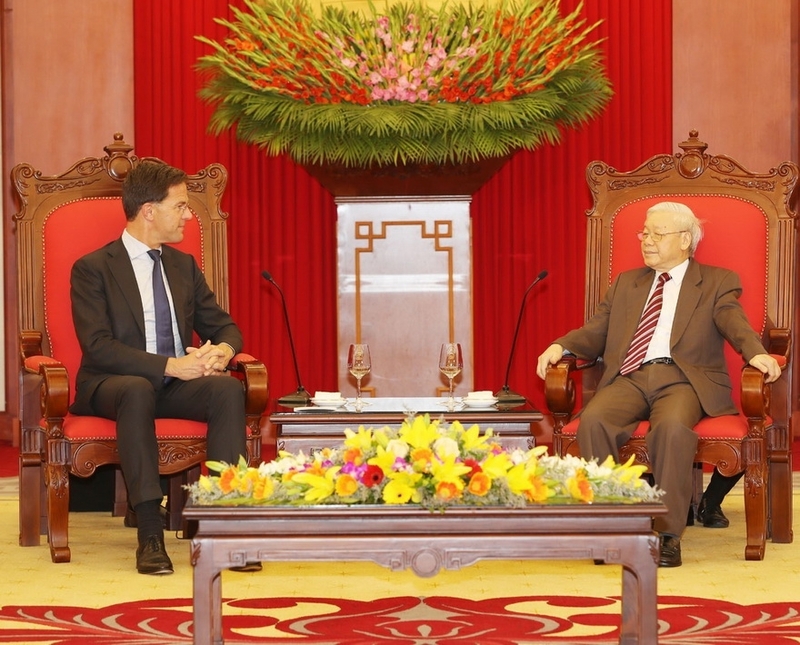 The visit is an opportunity for him to underline the importance of the partnership with Vietnam in a broader context. We are both committed to achieving the sustainable development goals and our ambitions in climate change. I found that Vietnam is very focused on this, very dedicated and committed to this. 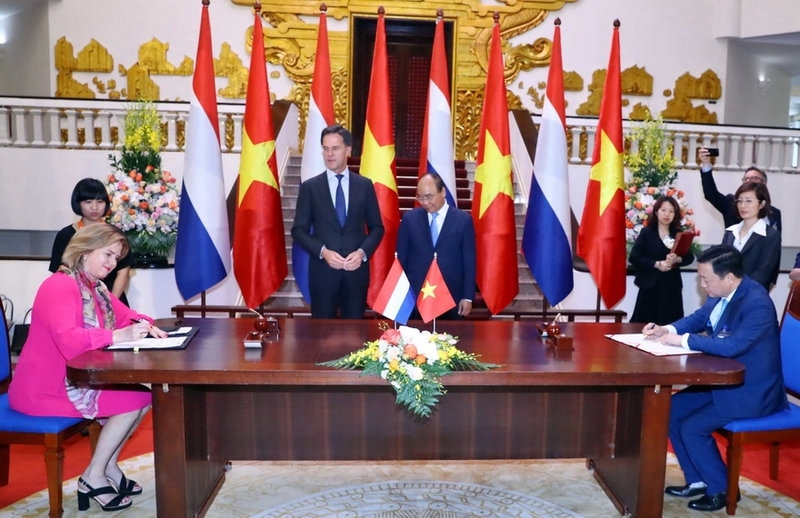 I assume that our Prime Ministers will also talk a lot about these very important ambitions, not only for the Netherlands and Vietnam but also for the rest of the world as these are global issues that matter to everybody. Party General Secretary and President Nguyen Phu Trong has a reception for Prime Minister of the Netherlands Mark Rutte. 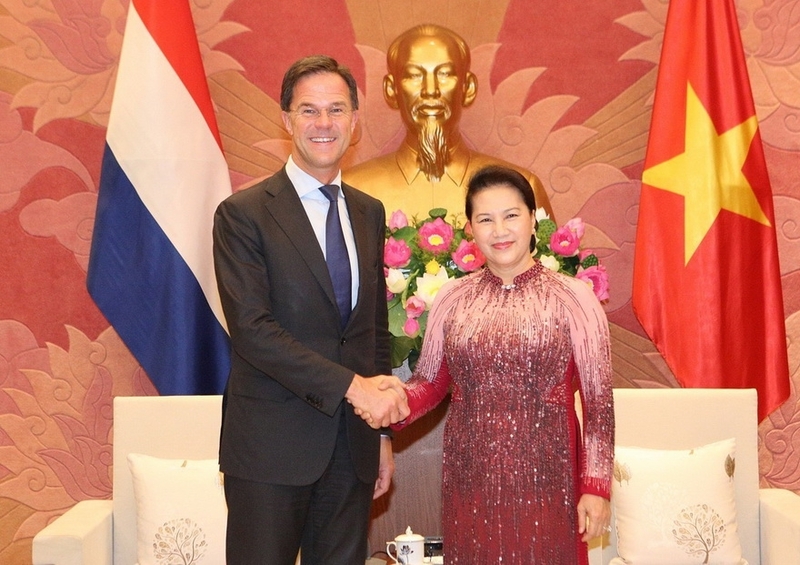 National Assembly Chairwoman Nguyen Thi Kim ngan receives Prime Minister of the Netherlands Mark Rutte. 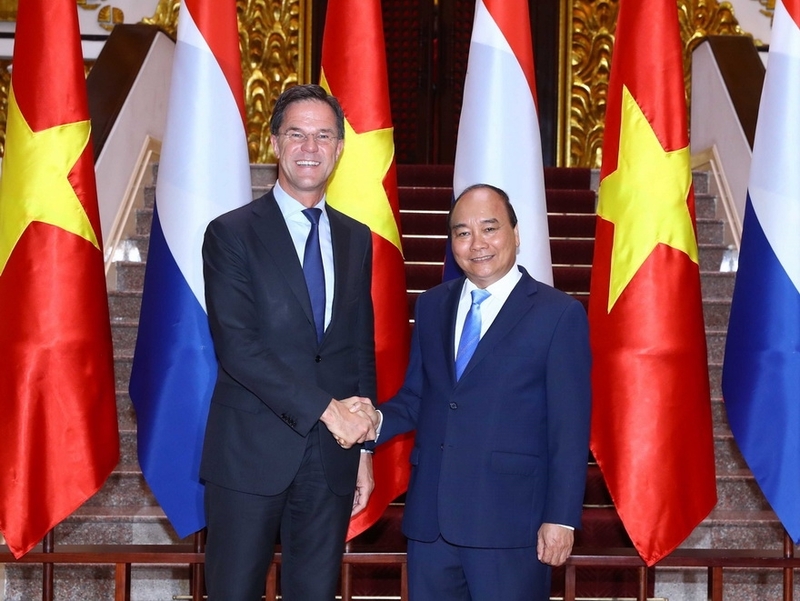 Will the Netherlands share with Vietnam new ways to better adapt to climate change? Wholeheartedly, yes. 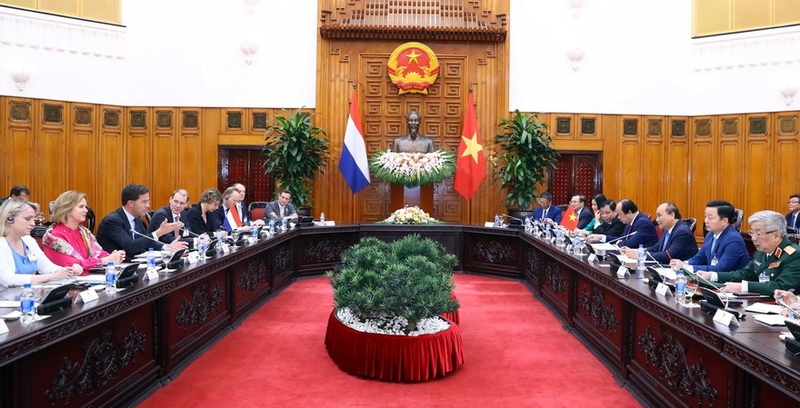 The Netherlands is and will continue to be partner of Vietnam in climate change, both in mitigation as well as adaptation. 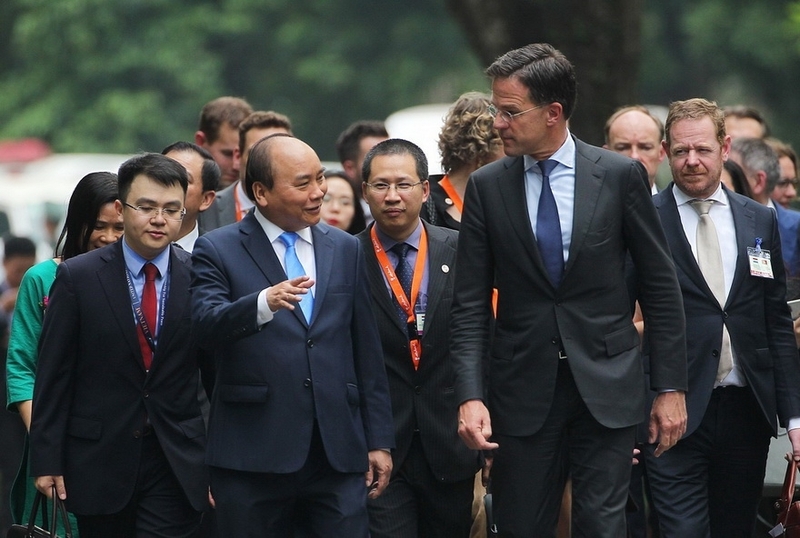 And in relation to the latter, Prime Minister Phuc and Prime Minister Rutte will have a dialogue on agricultural transformation and the lessons that Vietnam might take from our experiences. In that context, we will very closely work on circular approaches of agriculture and the adaptation of smart technologies so we are a partner for Vietnam in that. It is so necessary that we exchange these experiences because this is part of global development and global challenges that we both have to face. 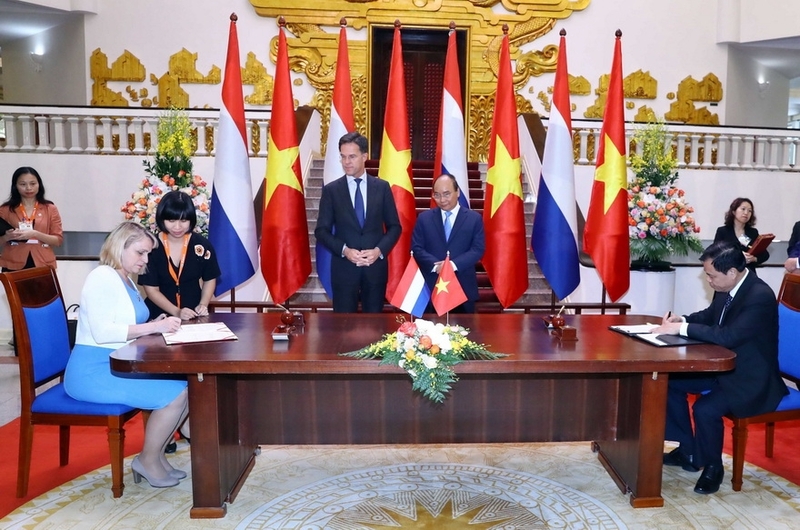 The Netherlands’ PM has initiated a movement to start an alliance of countries that are very much dedicated to climate change adaptation and the Prime Ministers and the ministers of both sides will have dialogue on Vietnam being one of the partners in this coalition for climate change adaptation. between the Vietnamese Ministry of Agriculture and Rural Development and the Dutch Ministry of Agriculture, Nature, and Food Quality. 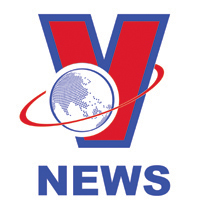 the Vietnamese Ministry of Natural Resources and Environment and the Dutch Ministry of Agriculture, Nature, and Food Quality. 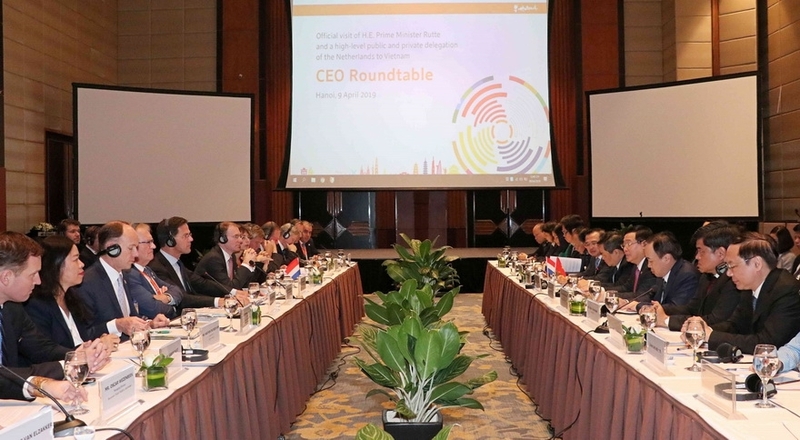 Deputy Prime Minister Vuong Dinh Hue and the Dutch Prime Minister attend a roundtable discussion with CEOs of Dutch companies in Hanoi. Could you please highlight focal points in bilateral ties? Water and agriculture are the most visible. We have worked with the Vietnamese government, research institutes, provinces and localities on the drafting of the Mekong Delta Plan. And PM Phuc ordered Resolution 120 for the implementation of that plan, and that’s a great joint achievement. We are looking forward to taking on board the implementation of both the plan and the resolution. Other topics we are currently working on include maritime issues. You can see both in Hai Phong and in HCM City, there are large facilities on shipbuilding, port management, inland water transport. If you use inland waterways instead of road transport, the impacts on the environment will be less. So in that sense we are working on smart ways of transport, and also achieving mutual ambitions to lessen negative pressure on the environment. The population of Vietnam is big and growing and there is an enormous flow of people from the countryside to urban areas. 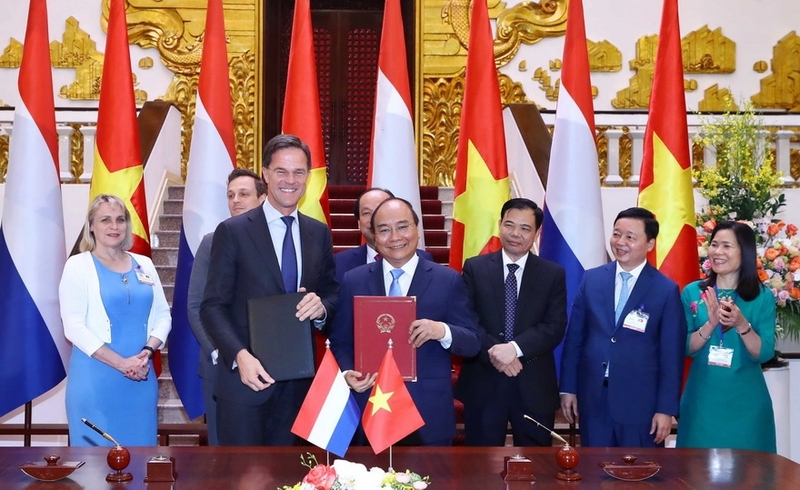 The Netherlands is a small country and we don’t have as many people as Vietnam but we also know about dense population and urbanization so here we seek cooperation with Vietnam as a whole and with large cities like HCM City and Hanoi. So we talk about lighting, urban mobility, and access to services. These are also the future fields of co-operation where we can find help from smart technologies. What are your priorities during your term to further promote the bilateral relationship? It’s very important of course to foster the bilateral relationship, but in such a way that companies and private actors contribute to public goals. The explicit policy of the Dutch Government is that companies do their business in a sustainable way. There is nothing wrong with making profit, but not at the cost of people and the planet. So do it in a balanced way and make sure that when you earn your money you take care of the environment, both the natural and societal environment. This will be the cause of my involvement. It is very necessary to engage businesses, research institutes, Government officials, representatives of civil society organizations so that we come up with smart and sustainable solutions. 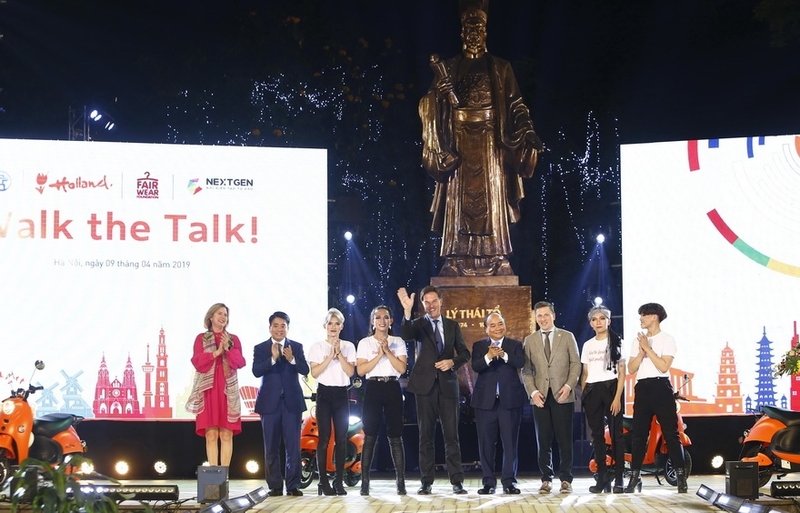 For me as an ambassador, I have an eye for talent and skills development of young people to ensure that young people can use their talent and creativity to contribute to the further development of Vietnam; and an eye on inclusiveness and diversity. Also, I will have special eyes for the participation, equal treatment, and empowerment of women, and the LGBT community.